With Hong Kong’s “Occupy Central” fully exposed as US-backed protest movement, readers should be aware that this latest turmoil is but one part of a greater ongoing campaign by the United States to contain and co-opt the nation of China. 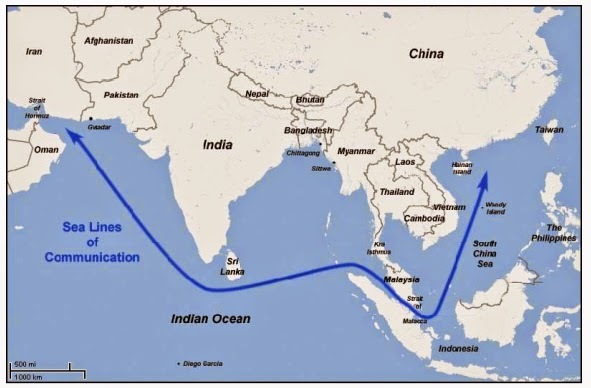 This containment strategy would be updated and detailed in the 2006 Strategic Studies Institute report “String of Pearls: Meeting the Challenge of China’s Rising Power across the Asian Littoral” where it outlines China’s efforts to secure its oil lifeline from the Middle East to its shores in the South China Sea as well as means by which the US can maintain American hegemony throughout the Indian and Pacific Ocean. The premise is that, should Western foreign policy fail to entice China into participating in Wall Street and London’s “international system” as responsible stakeholders, an increasingly confrontational posture must be taken to contain the rising nation. This proxy war has manifested itself in the form of the so-called “Arab Spring” where Chinese interests have suffered in nations like Libya that have been reduced to chaos by US-backed subversion and even direct military intervention. Sudan also serves as a proxy battleground where the West is using chaos to push Chinese interests off the continent of Africa. More recently, political turmoil has hit Southeast Asia. Thailand has only just recently ousted a US-proxy regime headed by dictator Thaksin Shinawatra, while neighboring Myanmar attempts to stave off sedition headed by US-British political fronts led by Aung San Suu Kyi. 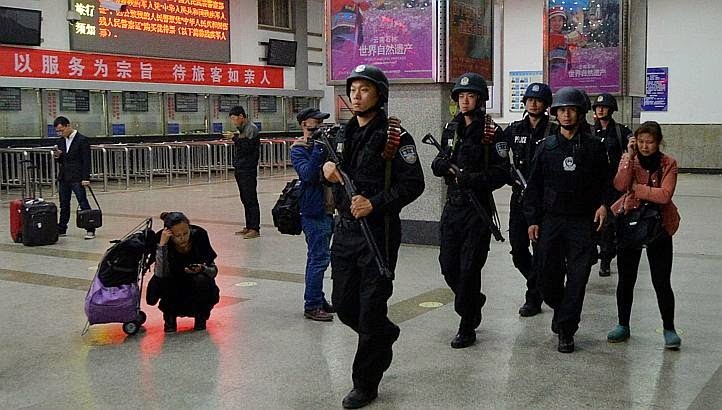 Within China itself, the US wields terrorism as a means to destabilize and divide Chinese society in an attempt to make the vast territory of China ungovernable. In the nation’s western province of Xianjiang,the United States fully backs violent separatists. It should be noted that the above list was taken from NED’s website in March 2014 – since then, NED has deleted several organizations from the list, as it has done previously regarding its support in other nations ahead of intensified campaigns of destabilization it wished to cover up its role in. From full-blown proxy wars in the 1960’s spanning Southeast Asia, to the US-engineered “Arab Spring” in 2011, to terrorism in Xinjiang and turmoil in Hong Kong today – what is taking place is not a battle for “democracy” or “freedom of expression,” but an existential battle for China’s sovereignty. For whatever problems the Chinese people have with their government, it is their problem and theirs alone to solve in their own way. Using the promotion of “democracy” as cover, the US would continue its attempts to infect China with US-backed institutions and policies, subvert, co-opt, or overthrow the political order in Beijing, and establish upon its ashes its own neo-colonial order serving solely Wall Street and Washington’s interests – not those of the Chinese people. 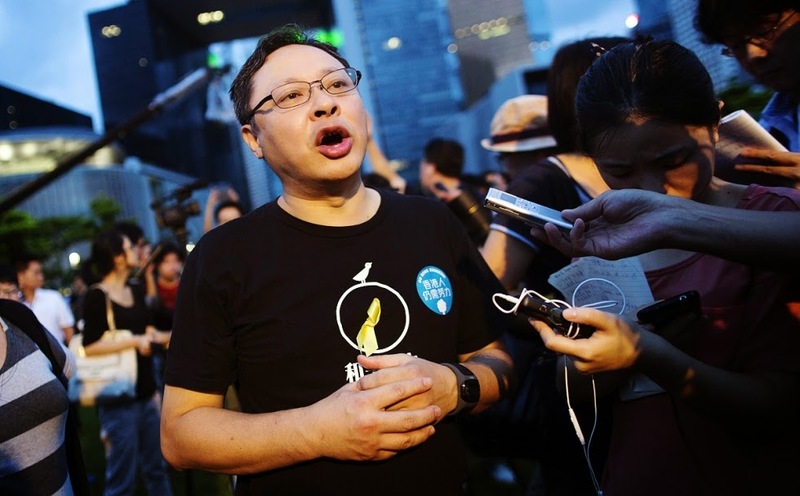 Image: Protest leader Benny Tai – fully entwined with the US State Department’s National Democratic Institute – sitting as a director for years of the Centre for Comparative and Public Law (CCPL) which collaborates with and receives funding from the US government – calls for the “occupation” of Hong Kong. Hong Kong was already occupied – by Britain from 1841 to 1997. For the mobs of “Occupy Central,” many have good intentions, but the leadership is knowingly in league with foreign interests seeking to subvert, divide, and destroy the Chinese people – not unlike what China had suffered at the hands of European powers in the 1800’s to early 1900’s.